Broadcaster, teacher and Māori language advocate Kōtuku Tibble spent his life championing te reo. Tibble boasted a diverse CV — he had a hand in the launch of te reo pop group, Aaria, taught around the North Island for 28 years, and presented shows for television and radio over more than a decade. The father of two passed away on 24 September 2017, at the age of 53. Kōtuku Rerenga Rua (the second flight of the heron) explores the impact of a near-death experience on Kōtuku Tibble. The teacher and media personality (from te teo Rugby World Cup commentator, to running language lessons on TV show Pūkana) talks about being reborn as the husband, father and leader he believes he is destined to be. 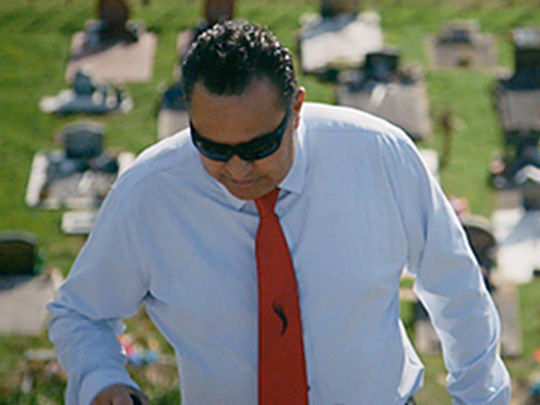 Co-directed by Tim Worrall and Aaron Smart (The Road to Whakarae), the short documentary was made in te reo Māori for web series Loading Docs. Sadly Kõtuku Tibble died in his sleep, a few months after Kōtuku Rerenga Rua was completed. Debuting on TV Four as Tūmeke in 1999, children's show Pūkana was pioneering in its use of te reo.  Given a new title when it moved to TV3 in its second year, it later began an epic run on Māori Television. Taking contemporary kids' culture cues, Pūkana features game shows, send-ups, talent quests and music. It emphasises ‘street’ rather than marae-style language. Made by company Cinco Cine, it has won three awards for best show in its category, and two nominations for children’s programme. 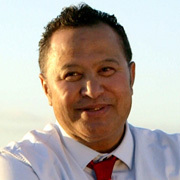 Past presenters include Mātai Smith, Quinton Hita and Te Hamua Nikora.